Product is sold only in multiples of: 1 x Tone/Tone. Minimum order: 22 x Tone. 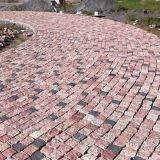 Exterior cobblestone pavements happen to be desired by some customers to have a slight touch of extravaganza. Are you looking for something like that? Perfect! What we have for you is the Maple Red granite cobblestone with a riven finish (split). 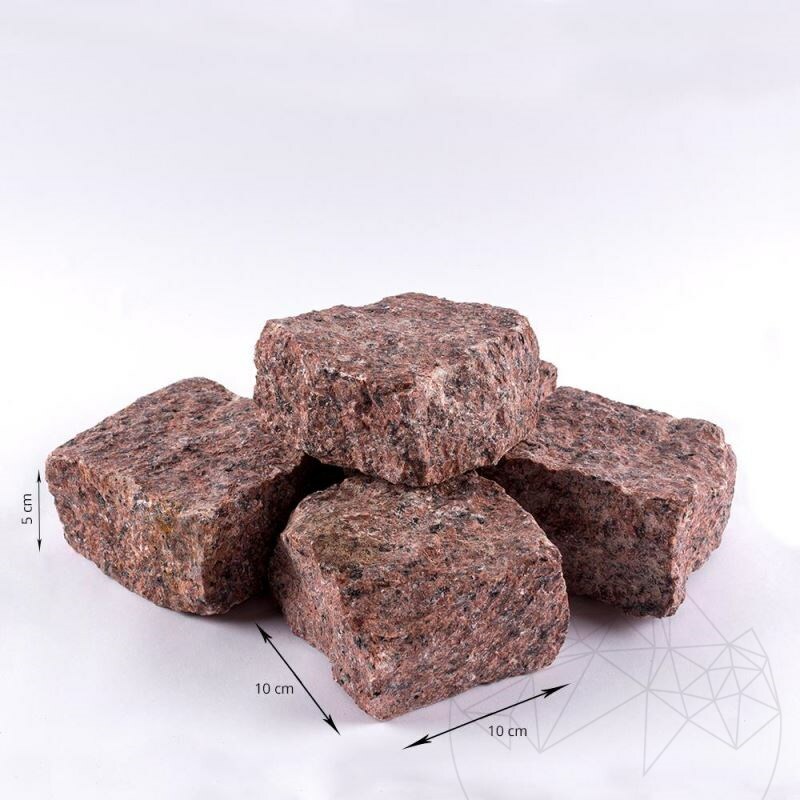 The reddish color of this granite suggests confidence and elegance, attributes that make this product suitable for walkways, outdoor terraces, garage entrances and even exterior claddings... even suitable for public projects, being resistant to heavy traffic. 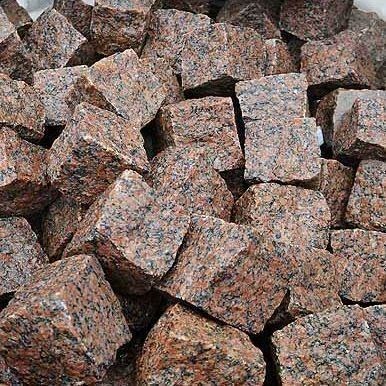 The Red Maple riven granite cobblestone paing presents itself as the perfect solution for boulevards, parks, roundabouts, squares or exterior claddings of buildings... as in all cases of cobblestone pavements, remember that you most often also need curbs, so be sure to browse our curb section! Is this material installed directly on the ground? 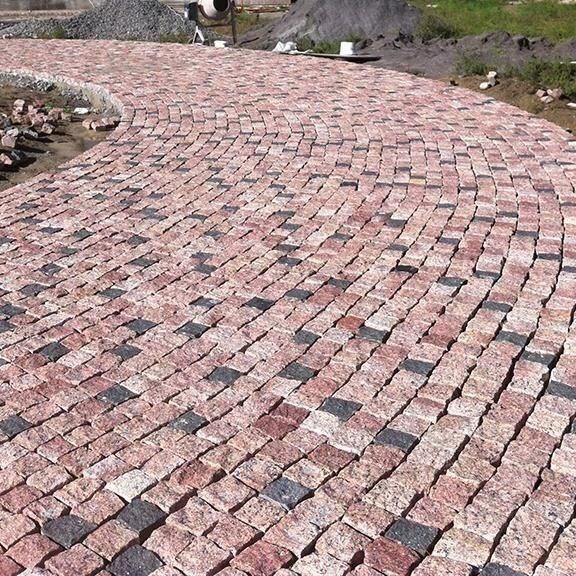 Yes, this cobblestone is installed directly on underlay made from compacted gravel and sand. Underlay should be very well compacted.